Gaia Gandini Villa, built in the 15th century, belonged to the Visconti, Borromeo, Biglia, Confalonieri and today to the Gandini family, is one of the first buildings in Lombardy made according to the specifications of villa. The interiors are characterized by spacious halls with eighteenth-century ceilings that effectively bear witness to the succession of eras and their predominant styles. The portico with frescoed walls, a large terrace on the Naviglio, the landing stage still working, and the park with two tree lined paths adorned with antique statues, distinguish themselves for their beauty. The Villa is easily accessible from Milan, Pavia, Novara, Varese and their provinces. 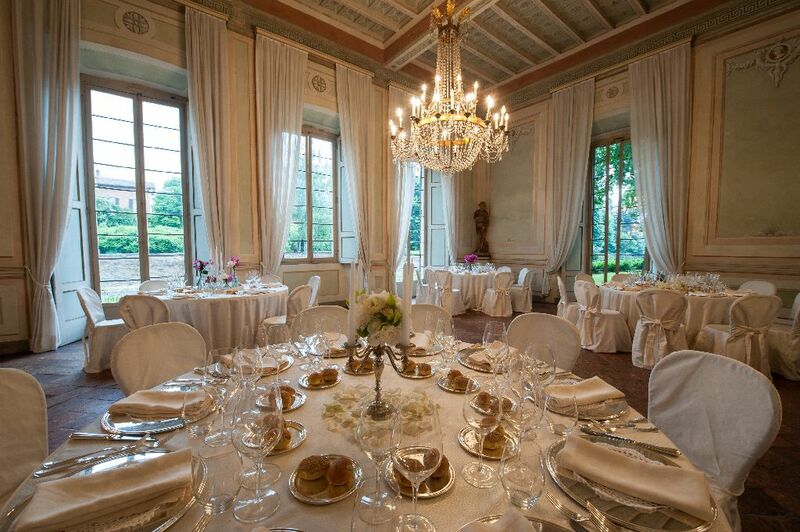 Gaia Gandini Villa offers its aristocratic atmosphere for weddings, receptions, photo shoots, galas and business dinners. Thanks to a convenient internal parking and infrastructure supports, the villa can give exclusive hospitality, up to 250 guests, both inside, in the spacious lounges equipped and overlooking the park, and outside, in the charming setting of the noble Court, along the banks of the Naviglio and in the well-kept park. The phone number of Villa Gaia Gandini is +39 3396955310 or 3201985762.